One of Buckinghamshire’s hidden gems has been brought to life by the Thomas Gray Anniversary Project. Thomas Gray (26 December 1716 – 30 July 1771) was an English poet, letter-writer, classical scholar and academic. 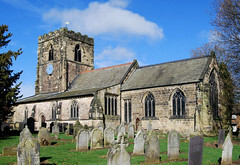 His Elegy Written in a Country Churchyard is arguably the most famous poem written in the English language and is believed to have been written in Stoke Poges, a village with which Gray had a close association throughout his life and where he was buried. 2016 marks Thomas Gray’s Tercentenary. Started in 2012, the project worked to restore Thomas Gray’s tomb in St Giles’ Churchyard, Stoke Poges, carry out conservation work on the Monument and introduce a new generation to that much-loved poem “Elegy Written in a Country Churchyard”. Although nearly 5 metres high, the “plain, square block of stone of good size, without ornament or embellishment” which lies at the heart of the Thomas Gray Landscape in Stoke Poges is often overlooked. 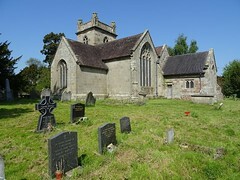 This has now changed with the installation by the National Trust of the Thomas Gray Landscape board which welcomes visitors to the site and draws their attention to the legacy of this unassuming poet who penned one of the world’s most famous poems, “Elegy Written in a Country Churchyard”. 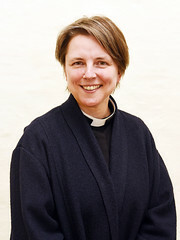 On 9 July 2016, the Bishop of Buckingham, the Rt. Revd Alan Wilson came to Stoke Poges to unveil the board and engage the attending audience with his explanation of the importance of this poem and its message concerning the contribution of every individual to the common good and the transitory nature of celebrity. Diana le Clercq, a key player in organising the Stoke Poges Village Thomas Gray celebration was delighted to welcome volunteers who had worked on improving the landscape around the Monument and several of the children from Stoke Poges School who had participated in the Thomas Gray School Expeditions started in 2012. Alex Kurtis who was there with his sister Sarah and their grandmother Pam Oliver is now a student at John Hampden School, founded in the name of a famous Buckinghamshire man who is mentioned in the Elegy. The little tyrant of his fields withstood”. Visitors enjoyed picnics by the Monument where the Burnham Concert Band played, tours of the Stoke Poges Memorial Gardens where teas were served by the Friends and visits to the Bell Tower after the bells rang out to invite people to attend the unveiling at 3 pm. The afternoon finished with a short programme of music and readings in St. Giles Church. The day was the culmination of a project that started several years ago. Readers interested to learn more about the Thomas Gray landscape are invited to attend the Stoke Poges Memorial Gardens Heritage walk which will take place on 11 September as part of Heritage Weekend. 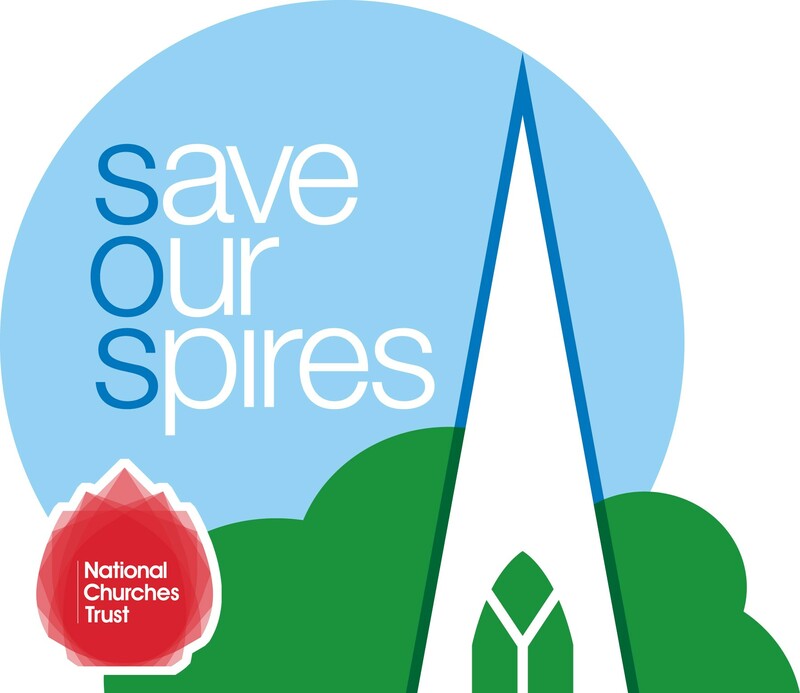 We’ve just launched our ‘Save our Spires’ campaign to raise much needed funds to help repair church spires at risk. As part of the campaign we’ve produced a video to explain just why spires are so important. The amazing aerial photography in the film was produced by Kestrel-Cam, which provides remote aerial photography and video using radio-controlled UAVs, or drones, throughout the UK. The company uses the very latest multi-rotor drone aerial platforms, all equipped with professional stills cameras and video recording equipment. This allows them to offer aerial drone photography, filming and video services to a wide range of clients. The type of project that they can get involved in includes: photography and filming for estate agents, commercial property aerial photography, film & TV aerial video for the likes of the BBC, Channel 4 and Channel 5. They are often asked to do aerial surveys of tall structures which would otherwise be difficult, or expensive, to reach. 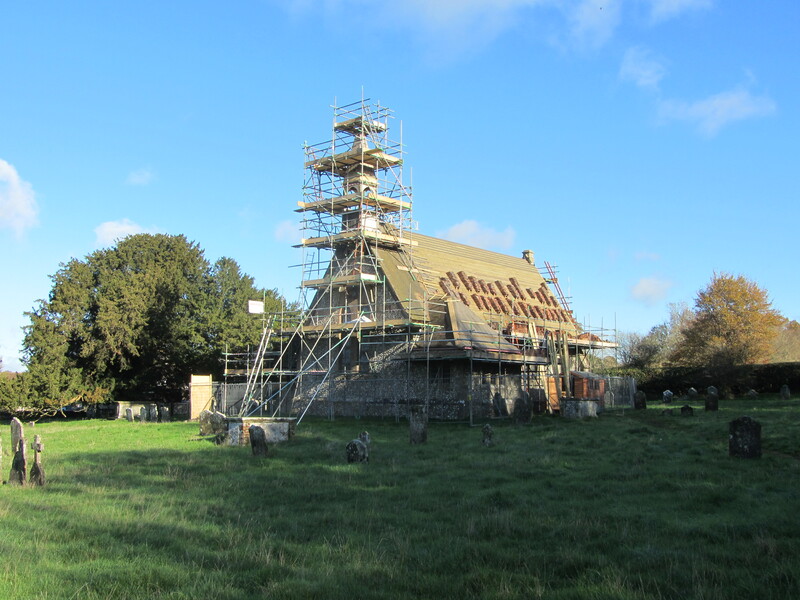 In our case we asked Kestrel-Cam to come and take high definition video of the newly refurbished spire at St Michael and All Angels Church at Chetwynd. The cost of erecting scaffold to gain access to such tall structures would be prohibitive but with these modern drones the job can be completed quickly and cost effectively. In fact pretty much any sort of aerial photography can be achieved by these remotely piloted unmanned aerial vehicles which can legally fly up to 400 feet. What was once work for camera equipped helicopters can now be carried out by these high tech drones and at a fraction of the cost. 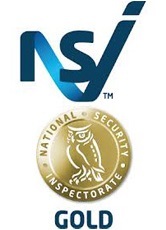 The company is CAA approved to do commercial aerial work within the UK and have been operating their drones for a little over 2 years.